Katie Culpepper, 4, F, sng, Wh, NC/NC/NC, died of Diptheria in Oct 1879. City, NC, pg. 145, compiled by Lou N. Overman and Edna M. Shannonhouse, Vol.3, Bicentennial Edition, published 1975. City, NC., the daughter of Marshall Bertrand and Mary Wynne (Norman) Culpepper; married Lemuel Roscoe Foreman, 7 November 1907. Chidren: Lemuel Roscoe, Jr., (deceased) married Elsie Bartlett; Clay B., married Erlien Newbern; Robert E., married Mary Ellen Thomas; James J., married Carol Armstrong. She graduated from Salem College, serving as president and valedictorian of her class; active member of Bible Class for fifty years, of which she was founder and served as president; president of Woman's Society of Christian Service; author of a history of the First Methodist Church; past president of the Senior Woman's Club; active member of Elizabeth City Music Club. She died 19 July 1972 and is buried in New Hollywood Cemetery. Mary W Culpepper, Mother-in-law, F, Wh, 65, wid, md@20, NC/NC/NC. Mary Norman Culpepper, White, Female, married Lemuel Roscoe Foreman in 1907 in Pasquotank Co., NC. Mary N Culpepper, White, born 1864-1865, died 21 Apr 1939 in Pasquotank Co., NC. Eunice Hall Culpepper; 11 Jun 1893 - 30 Dec 1987; Female; White; Age 94 Years; Died: High Point, Guilford Co., NC; Residence: Southern Pines, Moore Co., NC; Widowed; Burial in state; Birth: NC; Fathers Surname: Hall. E-mail written 2000 to Lew Griffin from Breet Popwell. 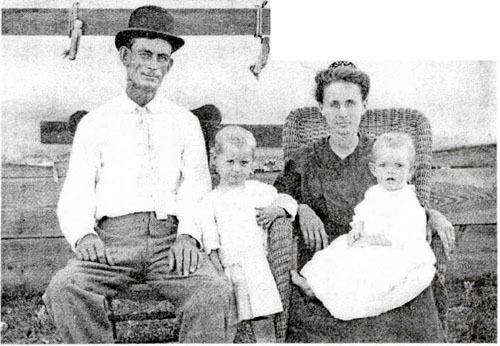 Cora May Culpepper (20) married Ernest Dewey Renfroe on 4 Jan 1920 in Pike Co., AL, Book W-317. E-mail written 2003 to Lew Griffin from Brenna Smith, e-mail address. I have become interested in the above because I bought two brass rubbings some time ago in an auction in England. On looking through an old book about English churches a few weeks ago, I saw my brass rubbings. When I contacted the vicar of the church where they were, he sent me a booklet about them. The brasses are in St. George's Church, West Grinstead, Sussex, England. They are of Sir Hugh Hailsham (died 1441) and his wife Jocosa Culpeper (died 1420). Sir Hugh went to Agincourt with Henry V.
I suspect, but cannot prove that Jocosa was the sister of Walter Culpeper of Goudhurst, Bayhall, and Hardreshull. His manors were all quite close (15-25 miles, as I recall) to West Grinstead. Walter, sometimes referred to as the Squire of Agincourt, fought at Agincourt under the banner of Sir William Bouchier with a younger brother and five yeomen archers from among his father's tenants. (Sir N. H. Nicolas, The Battle of Agincourt, 1832, P. 361) Walter's father (as well as Jocosa's, of course, if my theory is correct) was Sir Thomas Culpeper of Bayhall, Hardreshull and Exton (born abt. 1345, died abt. 1428). See: Individual 8404. Thomas is a direct ancestor of all modern-day Culpeppers.